First, I would point out that May introduced Temperer measures after the Manchester bombing, and they do not seem to have done much to disrupt the latest attack in London. 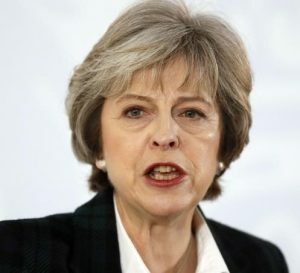 Second, I would also point out that the UK general elections for parliament are only a today, and it is highly likely that the latest attacks will solidify Theresa May and her Brexit base. As I have argued since before the Brexit vote last year, we are witnessing perhaps the largest 4th Gen psy-op in history. 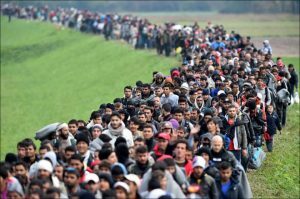 The globalists have deliberately engineered conditions by which European nations in particular will either be enveloped by an alien ideology with no protection from their own governments or they will have to respond with overarching countermeasures. Meaning, Europeans have been given a false choice between the ideological cult of multiculturalism or martial law conditions. So, what is the solution? Well, look at the choices the British people have been given: Accept multicultural sublimation without question or initiate complete military oversight and sacrifice personal liberty. Are there no other options available? Again, I believe the UK will be under martial law in a year’s time. Unless the people of the UK do something NOW to assert their right to determine their own security, they will fall to a complete totalitarian framework. And in the long run, they will only be helping the very globalists the Brexit movement in particular sought to fight against. They will do this by trampling the image of nationalism and sovereignty with the jackbooted philosophy of externalized security and government dependency, making globalism, the offered antithesis, look pleasant and tolerable in retrospect.